Happy Christmas Eve Eve my lovelies! Yes – it is a thing! And I honestly cannot believe that it was this time last year when I put my Christmas tree up! I don’t know what was wrong with me, but I can happily reassure you that this year, it’s been up and loved for the past 23 days.Being in the blogging industry can be quite difficult when it comes to having a positive body image and a healthy attitude to the way you look. I know for me, this has been something I’ve struggled with for a while – and even though I never thought I had a negative body image, I can see now that I was striving for a better look. Through being in bad circumstances and a bad relationship, I stopped eating and dropped almost 2 dress sizes. I didn’t realise this at the time but it wasn’t healthy at all. There is no way that you should ever starve yourself to try and look better. I am generally happy with the way I look now and although I have those silly hangups about myself that most of us have, I am happy with my size and figure. I could be healthier, but that’s something I’m still working on.
. 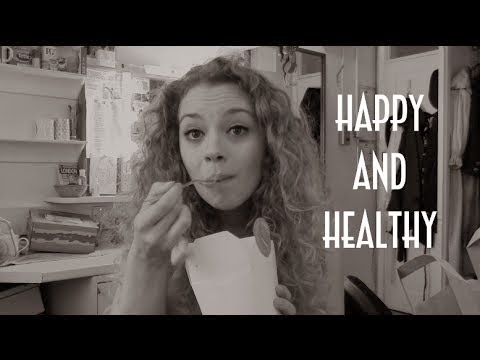 Recently, Carrie Fletcher posted a video on her Youtube Channel here, where she discussed how she is happy with how she looks and doesn’t care what people say to her as long as she knows she’s happy and healthy. I was inspired by the way she talked about her love for her body and about how she managed to stand on camera, measure herself and let us all know exactly what she weighed. I think more of us should have this outlook and although it can be difficult to gain that self-esteem, it’s something we should strive towards. Carrie has a great view on this subject and I really think she is a great role model for girls of all ages. 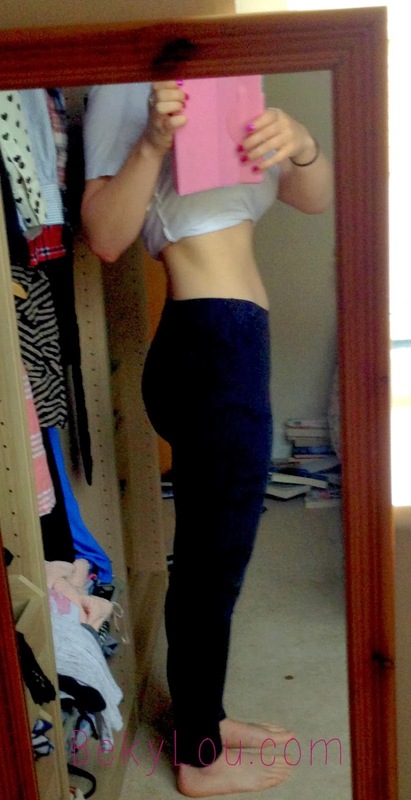 Emma, in her gym wear – cheeky selfie?! I have a friend; Emma, who also has a Youtube channel here. She doesn’t talk about the subject in the way Carrie does as such, but has been making videos tracking her weight loss. She’s also happy about how she looks and doesn’t care too much about what people say to her – she’s losing this weight for herself and making herself healthier along the way. 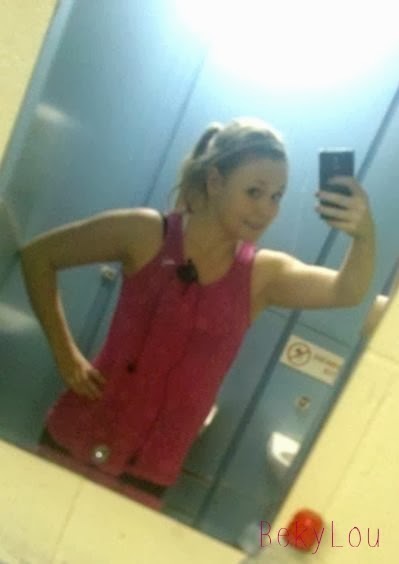 Like Carrie, she’s confident with sharing her more ‘sensitive’ information, like how much she weighs and some of her measurements online with all of her viewers and because of this, Emma’s been my inspiration to start doing more exercise and to start eating healthier. She’s even lent me this book called ‘Run Fat B*tch, Run’ which you can buy here, which has totally changed my way of thinking when it comes to exercise and about chucking out those dammed choccy bars – It is a very ‘tongue and cheek’ kind of book though, so don’t take what is written too seriously! I am such a huge believer in positive body image among us girls (and guys) and so I’m going to follow in the footsteps of these great ladies and show you how I look now (and how I looked just a couple of weeks ago). I’m happy with how my body looks and I feel comfortable in my skin, which for some people can be a struggle. I do, honestly feel at the moment that I’ve been eating a lot of rubbish foods and haven’t been doing any exercise, so I’m not 100% happy with how I feel in myself now (compared to when I originally wrote this post – yes, this sentence has been added in), but I think that when I get back into exercise I will feel a lot healthier. I want to get across a message that it doesn’t matter what you weigh or what your tape measure says – you are you for what’s inside and nothing and no one should make you feel bad about yourself. As long as you are happy and feel healthy, that’s all that matters. How brave are you lovely for sharing your story! I have suffered with my wait since I was little, I'm now 25 but you have give me the inspiration to love my body! From 2014 there is going to be a healthy new me! Feeling good about your looks is the best way to live a happy life. More power to you Carrie, for speaking out about positive body image.